Paradise Bungalows review, Koh Touch beach, Koh Rong. Book at the Dive Shop on Serendipity Beach Rd, Sihanoukville. 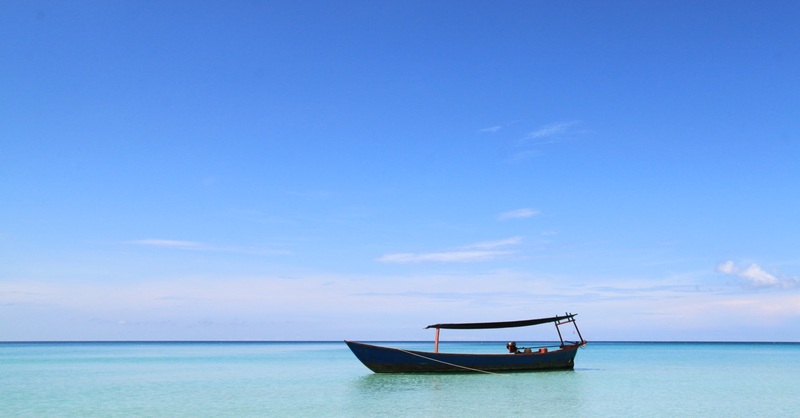 Paradise is the well-named long-timer on the southeast side of Koh Rong. And as evidence of its enduring popularity, it was fully-brooked doing our last visit in mid-2016, even during low season. On a previous visit, the affable German manager, Rudy, explained that although he does get some backpacker clientele, he usually sells more wine than beer and customers relax to classical music and ambient soundtracks in the spectacular restaurant and lounge area made from recycled teak from the island. On that note, they do often promote their wine selection, which we found to be actually surprisingly small, and includes Kangaroo, one of the poorest wines available in Cambodia. Don’t order it. An elevated wooden platform overlooking the beach and hung with bamboo lamps, the restaurant is beautiful and serves Khmer and European food such as bacon-wrapped chicken, mango chutney, wraps and schnitzel. The bungalows are also appealing, stretching up the hillside through the maze-like tropical garden. Each bungalow has a private balcony with a swing and couched lounging area, and the bathrooms in the more premium options are the nicest you’ll find on the island with stones inlaid into the floors and in outdoor garden areas. We’d skip the entry-level bungalows, highest up the hill, as the bucket-shower bathrooms are basic and not really worth it for the price. The beachfront bungalows are reasonable, with safety deposit boxes and large outdoor bathrooms with gardens. While these bungalows rely on fans and sea breezes, there are also gorgeous stone houses which offer air-con for those who can’t live without it. These are the most luxurious on the island. The whole resort is solar powered, meaning bungalows have light and energy throughout the night (18:00-07:00) courtesy of their roof panels. The restaurant also has WiFi, making it unusual on the island. Book early if your trip coincides with any major international or Khmer holidays as this place is very popular with expats and returning visitors. 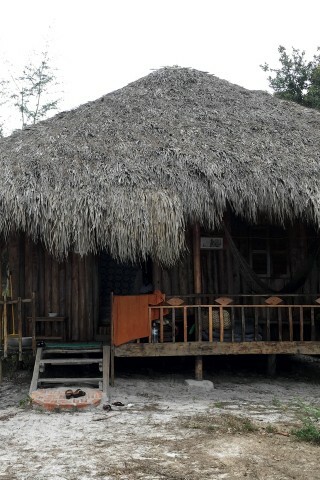 Room: Bungalow fan private bathroom, low season: US$20, high season US$40. Notes: Up to $45/$95.